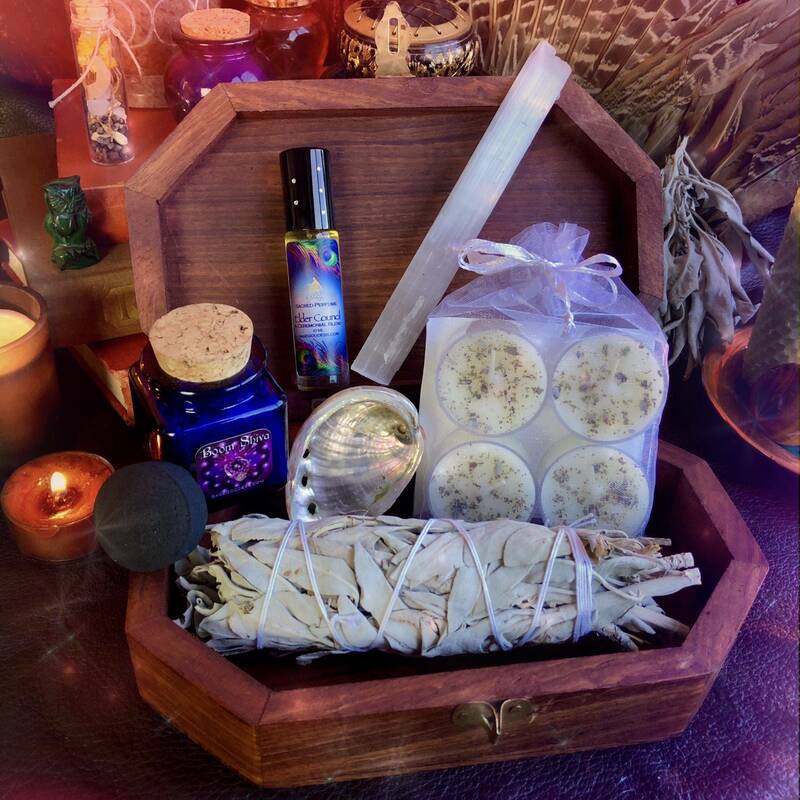 With this Sacred Gathering Box, you will have all the tools needed to facilitate and host your own sister circles, and more! 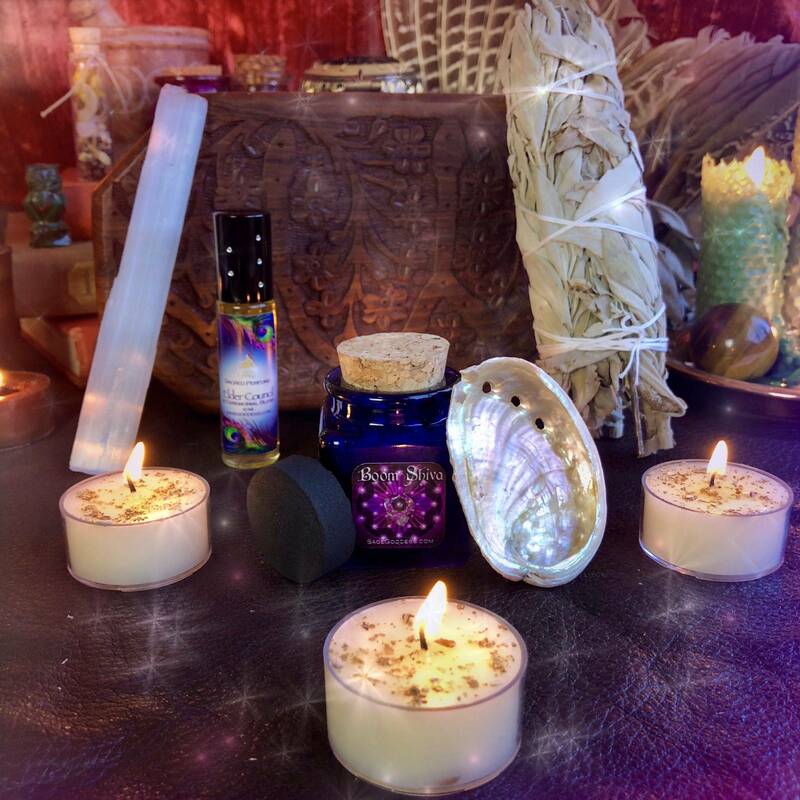 This offering is sacred, one that is intentionally designed to bring out the goddess magic within you — and anyone you choose to be in circle with! You will receive several carefully curated tools all aimed at helping you to open and close your ceremonies with ease, grace, and intention. 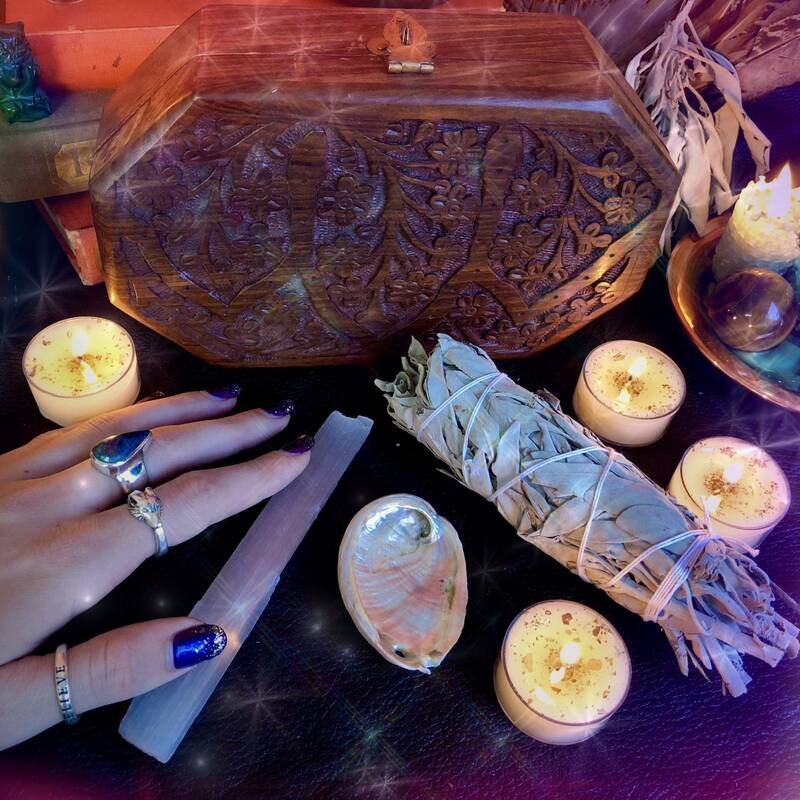 Work with this Sacred Gathering Box during your rituals to open, create, and seal the magical work you do. One (1) Boom Shiva Incense with charcoal disc. 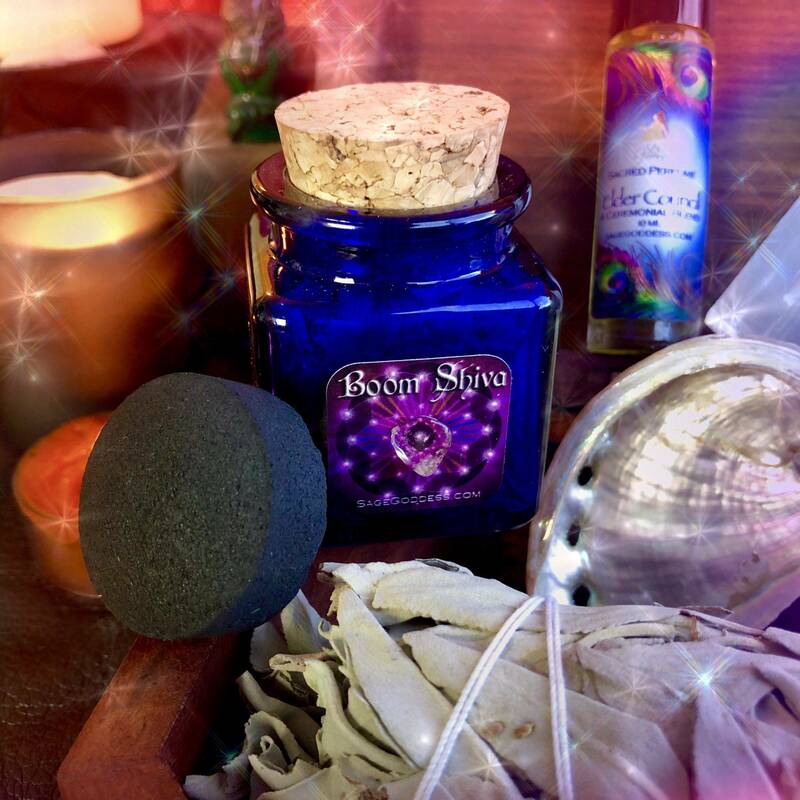 Boom Shiva Ritual Incense is a magical herb blend that contains ingredients used for centuries to support astral travel, divination, and vision questing. Boom Shiva Ritual Incense is crafted from mugwort, lavender, sandalwood and a few other ingredients. Only burn this blend when seeking to enter into a deep meditative state and be sure to place on the charcoal disc that comes with it! One (1) 15 ml bottle of Elder Council Perfume. There are more than twenty ingredients in Elder Council, including mugwort, blue sage, thuja, myrrh, piñon pine resin, frankincense, white sage, artemisia, and ceremonial tobacco absolute. 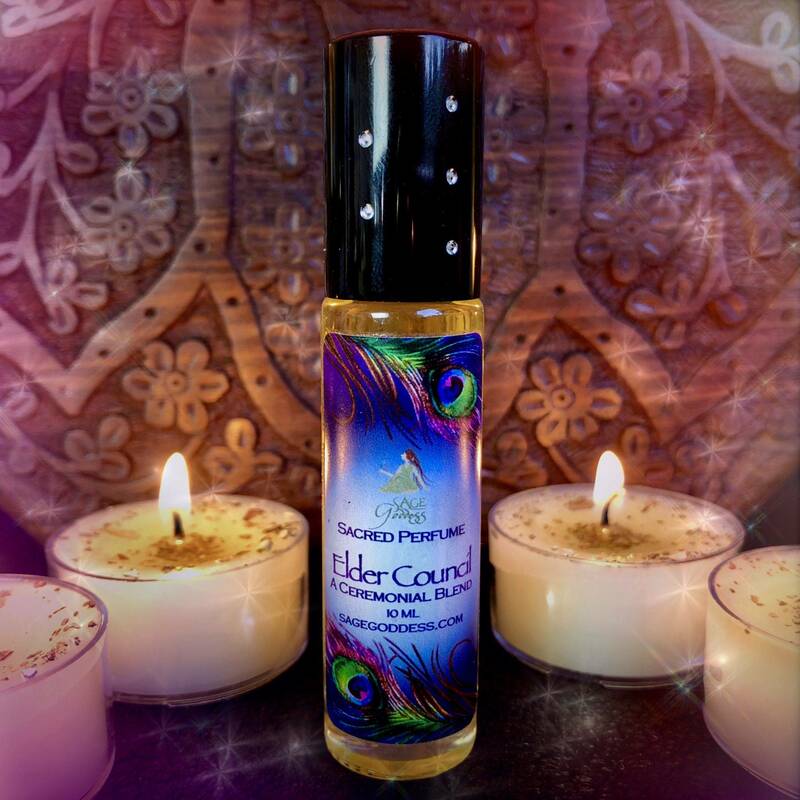 Elder Council Perfume is a profound blend for shifting your consciousness, and deepening your connection to spirit. One (1) 4-pack of Ceremony Tea Lights. Burn these tea lights during meditation or ritual to call in ancient and Divine power. Made of soy wax, these Ceremony Tea Lights are brimming with powerful ceremonial magic. 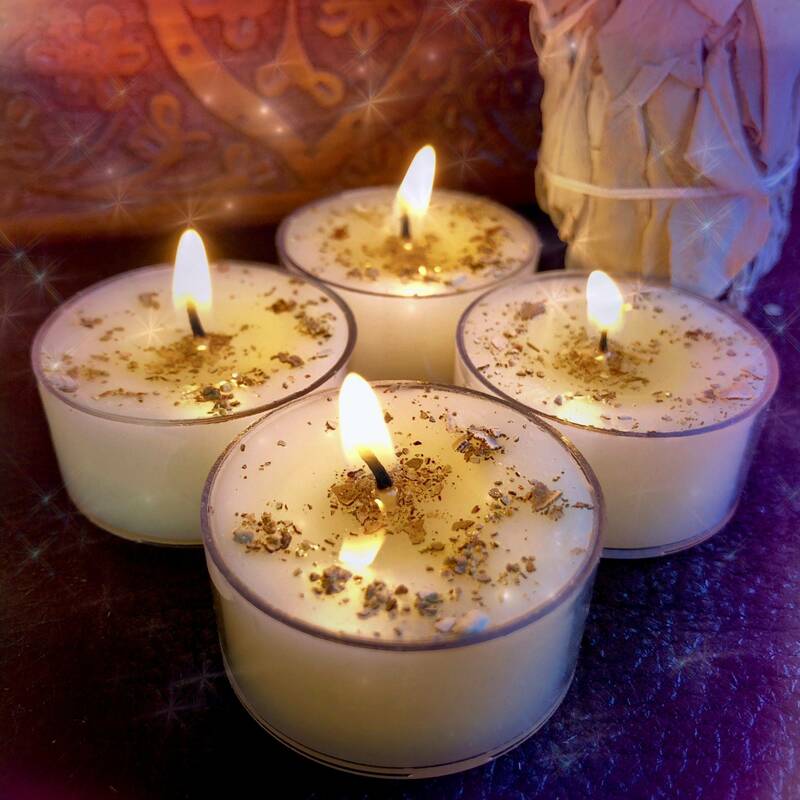 These tea lights have been infused with an oil blend of white sage, palo santo, ceremonial tobacco, frankincense, myrrh, galbanum, cedar, cypress, fir, and other energetically potent ingredients to help you prepare sacred space and call in Higher Realm vibrations to guide your spiritual work. One (1) Mini Abalone Shell. 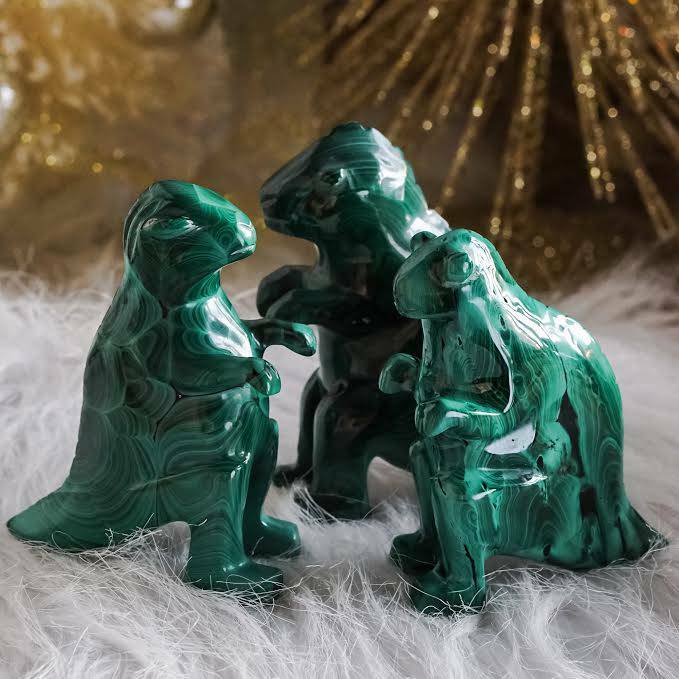 Use this precious shell to house your smudge bundles, gemstones, and herbs – or to simply infuse your altar with the nurturing magic of the Water element. 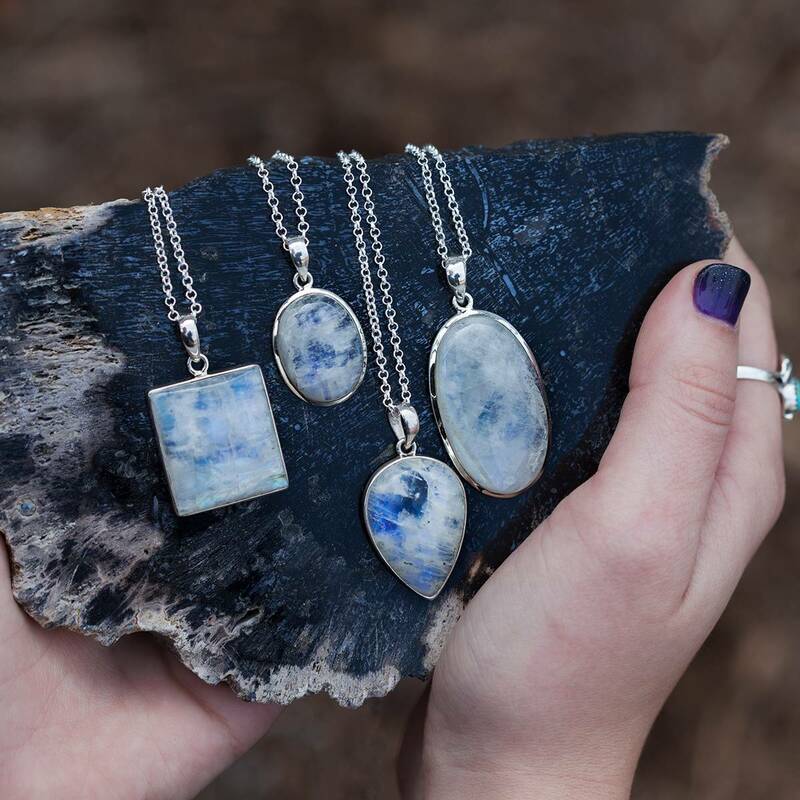 We will intuitively select from our lot of abalone shells the perfect and Divine Right shell that is meant for you! One (1) White Sage Smudge Bundle (about 5” in size). Since ancient times, people have burned sacred herbs like sage in order to clear and consecrate their sacred spaces. The smoke of ceremonial white sage in particular is said to draw positive spirits and discourage the presence of any unwanted energy. Most people find the scent grounding and centering. One (1) Selenite Wand for Opening Circles. Selenite is known as the happiness stone, and in this shape it is a particularly powerful tool for the circle keepers. 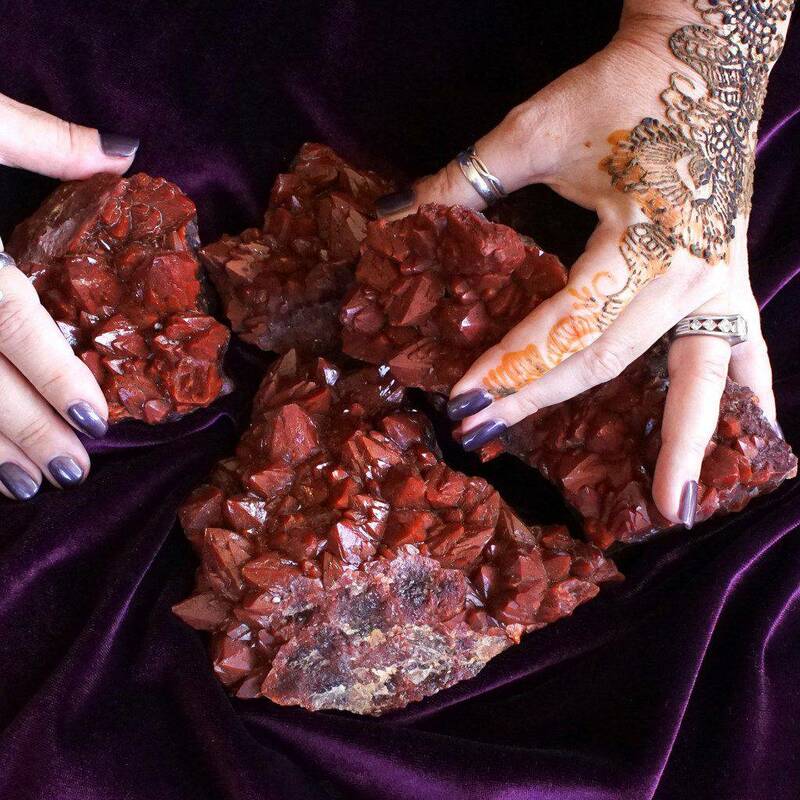 This gypsum gem is peaceful and gentle, yet potent and strong. Low frequencies naturally rise in the vibrational presence of selenite. As it purifies the energy in a space and attunes you to the Greater Good of all beings, it also connects you to the consciousness of your Higher Self. One (1) Magical Toolbox. Use this beautiful box to store and house your tools between ceremonies. Set on your altar and keep close as you use the tools during practice. Note: Please always burn on a heatproof stable surface, and never leave a burning candle unattended. The Elder Council Perfume is made with natural essential and carrier oils, and may contain fragrance oils. Cap color, chip stone, and color may vary slightly. For external use only. This listing is for one (1) Sacred Gathering Box as described above. Yours will arrive lovingly parceled along with a single leaf of white sage and a card describing the properties of the selenite. Awesome set, full of wonderful products. I have used many of the products individually very powerful magic!